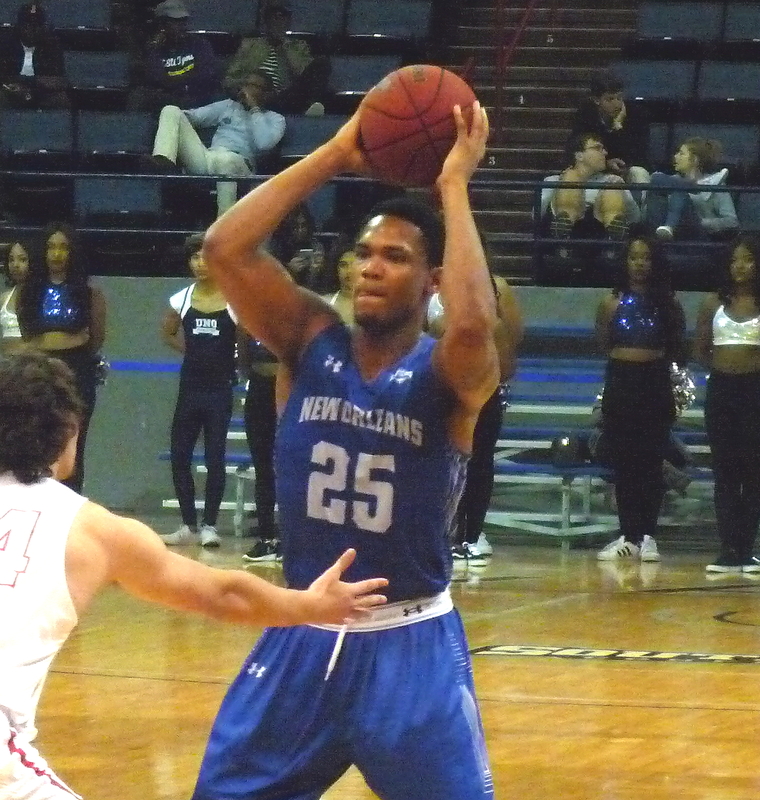 The Privateers (0-1) began their 2017-18 campaign in New York City Friday night, falling to Coach Chris Mullin and St. John's, 77-61. New Orleans hampered its own effort with poor ball handling, committing 21 team turnovers. Despite not starting, senior Travin Thibodeaux led New Orleans in points with 18 and rebounds with 7. Jorge Rosa was the only other Privateer who scored in double digits with 10. Newcomer Ezekiel Charles drilled a three to cut the St. John's lead to 30-28 in the first half, but the Red Storm finished the frame on a 7-0 run, and UNO never got that close again. New Orleans travels to Oakland of the Horizon League for an ESPN3 contest on Monday night.